"It was the best on-road ride of any Dodge truck in which he’s ridden; and yes, that’s with an add-a-pack in the rear"
Dubbed "The in-town driver's dream", this system was designed, built and tuned for the truck who keeps it on the pavement. 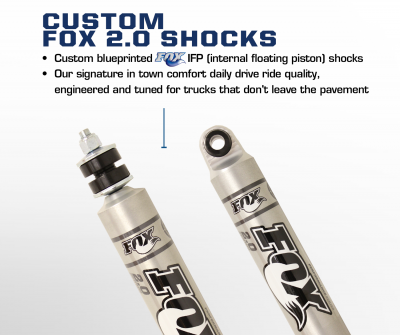 This shock project is specially focused for trucks that do not go off-road, doing everything in-town and on the free-way smoother. 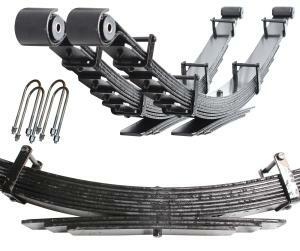 Tuning time was focused on suburban ride quality, in-town manoeuvrability and control, free-way expansion joints and sharp highway bumps. 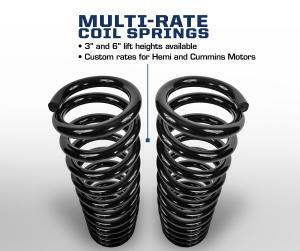 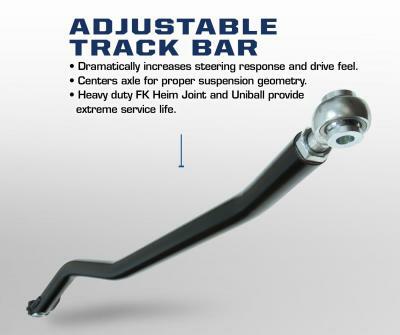 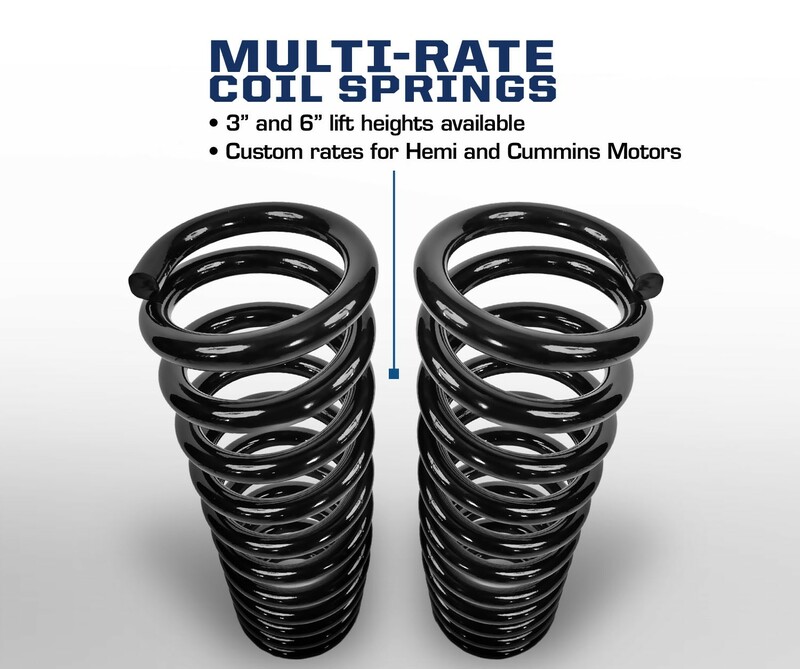 For an even better ride you can upgrade to the full leaf replacements (highly recommended for the 10-12 3500 trucks) and the Torsion Sway Bar. 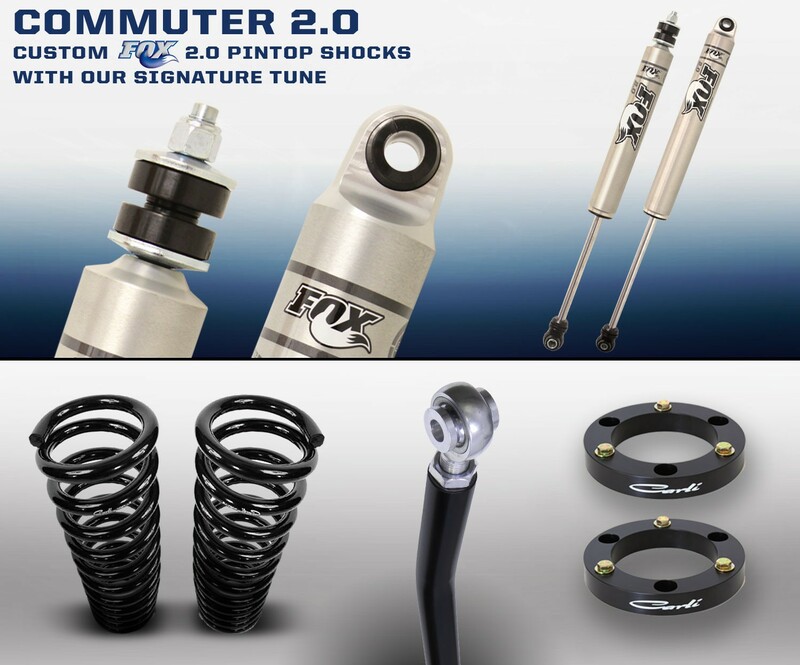 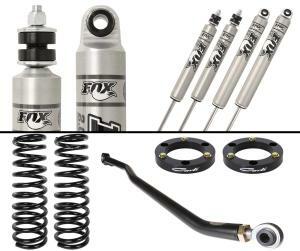 The Fox 2.0 IFP shock was blueprinted using our system specifications and comes with our custom on-road shock tune.